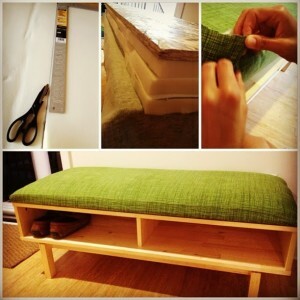 We briefly touched upon customisations you can make to your Ikea Expedit / Kallax shelves in an earlier article but if you really want to see the masters at work then take a look at some of these furniture alterations from IkeaHackers.net, a blog which features the innovative modifications people make to their items. Below we’ve handpicked 5 of our favourite examples and while these might not be some of the most ambitious Ikea hacks from the site, they are in my opinion the best looking and most practical. They’re also relatively straight forward and easy to recreate yourself without much expertise. 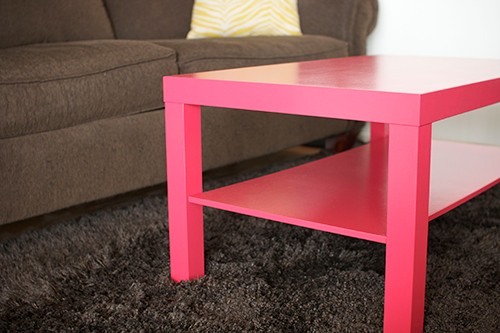 A pretty simple Ikea Hack which combines two really cheap and basic Ikea furniture staples into a completely new piece of furniture. Here we see a 1×5 Expedit shelf unit laid on its side with the legs you’d usually get with a lack coffee table attached underneath. The end result a raised console table sideboard which is surprisingly elegant and offers surface space at a much more practical height. 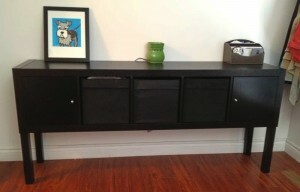 Drawers and inserts have here been used with the Expedit but I personally would have gone without. Here we see a Lack table again but this time it’s just the table top surface being used so you might want to combine this with the above example which only made use of the Lack’s legs. 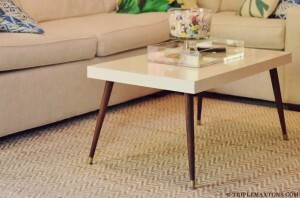 This isn’t strictly speaking an Ikea Hack as the mid-century style tapered legs are from somewhere else. However legs of a similar style are easier than I would have thought to find and are surprisingly cheap at around $30 for a set on eBay. This really is an amazing looking table and really looks like vintage Ikea furniture straight out of the 1950s with its tapered walnut legs that closely resemble the legs of an Eames DSW chair. However the surface of the Lack top might be prone to wear and mark easily as this is after all a budget, semi-dispoable item rather than a piece of high quality designer furniture. This one might take a bit more skill to pull off as it requires some upholstery but it basically just involves re-imagining a TV stand as a shoe bench. The alcoves that would usually house DVD players and other TV paraphernalia are already at a perfect size and height for shoe storage and with a little padding provided by a foam mattress pad and some fabric upholstery, this is also the perfect bench to sit on while doing up your shoes. You can find a decent set of instructions here on how to create this Ikea Hack for yourself with tips on how to get the fabric looking tight. 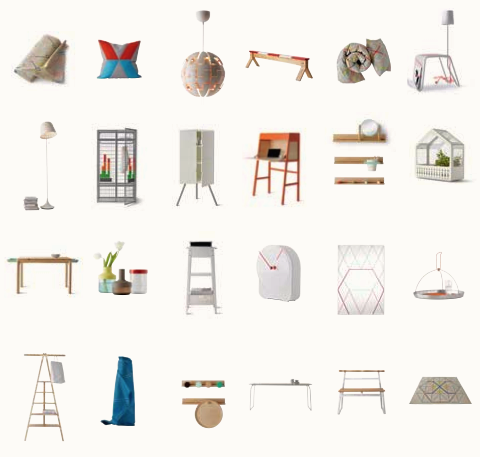 It also lists all the tools and equipment you’ll need. 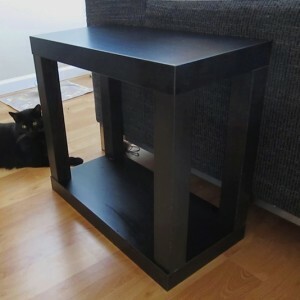 The Ikea Lack table has really gone on to become one of those ‘staple’ furniture pieces found in most homes due to its clean modern design and ultra-low price. However it is a deceptively large piece of furniture that really eats up your floor space and it is also slightly too low in my opinion to be used as a side table. 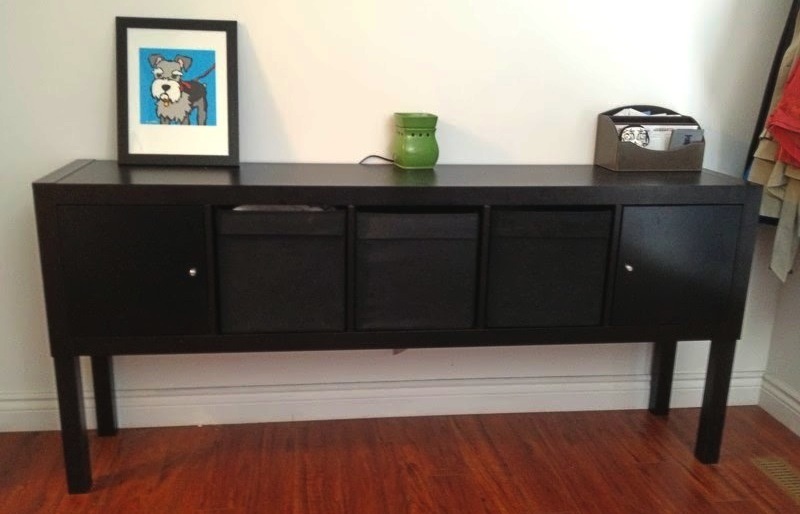 This super simple hack solves both these shortcomings and also features a raised shelf below. It’s also a great modification as you don’t require any other materials, only a few tools such as a hacksaw to cut the table top in half. 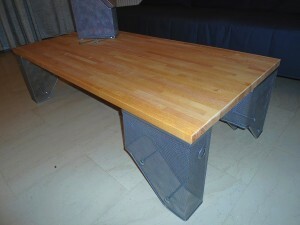 One half of the table goes on the bottom and then two of the legs have to be refitted and attached to the surface below. Wood glue is ideal for this and makes this a really quick and easy hack. The only downside is that one side of the furniture will have unfinished surfaces where the table was cut in half and so will have to rest against a wall or sofa as pictured. A bit of a humorous one here, this is improvisation at its finest and will make a great talking point when guests are over. A section of Lagan kitchen counter top has been used for the table’s surface and 4 document/magazine files have been used to make the legs. 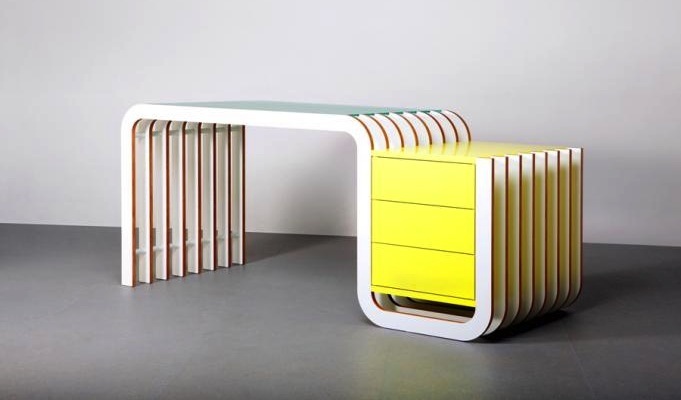 However as one commenter quite rightly pointed out, if the document holders were arranged the other way round with the longest side on the ground, they could also be used for storage as originally intended, although the table top would then of course be slightly lower. Hi, what about your link on painting ikea furniture, from your above comment do you mean to say that even following your guidelines given in the paint tutorial one cannot paint Malm/Expedit because of their surface? I am looking to paint Expedit as need some tips. She asked about staining, not painting. Two different finishing methods. Do you know if the IKEA birch veneer can be stained over? I’d like to match an “actual” Danish mid-century modern dining set. I would have to guess no but it depends on the particular piece of Ikea furniture. You definitely wouldn’t be able to on cheaper items like Malm and Expedit as these birch finishes aren’t real wood, I think they’re just plastic. But if it’s definitely a real wood veneer on a higher quality piece of Ikea furniture then I guess you could give it a go on a small test patch. I’m not quite sure what you mean by the quotation marks around “actual”, are they for emphasis or to say that it isn’t actually actual? Either way I’d advise doing test patches somewhere indiscrete on what you plan on staining to see if the finishes match.